The South African Reserve Bank briefed the Committee on its role, position and readiness in the implementation of SASSA’s institutionalisation of its social grant payment system. SARB was not involved in the planning and implementation of the current SASSA grant payment system launched in 2012. CPS acquired the Grindrod Bank (a relatively small bank with no branch network and limited infrastructure) to issue the social grants, which contributed to operational difficulties in the NPS due to a lack of communication and coordination. The launch of the system in 2012 placed strain on the NPS infrastructure and its stakeholders which resulted in operational difficulties and instability within the environment. This had been rectified after a year. SARB supported the open architecture approach which is based on the principle of interoperability and avoidance of concentration risk. Open architecture would potentially result in the following benefits: Increased choice as the beneficiary may choose the bank that will meet their service needs; accommodate SASSA specific requirements for special features on a designed account that will be offered to the benefit recipients; SASSA would avoid having to reissue the tender on an ongoing basis; probable lowering of costs. The other option is for SASSA to take over the overall payment process of social benefits and apply to be designated by SARB as a designated payment clearing participant. This would entail SASSA operating as a bank and hosting beneficiary accounts. The consequences of this option include: duplication of existing infrastructure; diminishing efficiencies derived from economies of scale and introduction of concentration risk. SARB does not support arrangements where non-banks duplicate existing infrastructure as this works against the efficiency objectives of the NPS. SASSA provided its weekly progress report. The negotiation with CPS is underway, starting that day until 3 March 2017. SASSA is confident that the negotiation will work out but if it fails, other options will be employed. Members asked why Grindrod was used in the first place, why Grindrod was granted exemption, why the 28 February application to the Constitutional Court was withdrawn, why the difference in information given to the SCOPA committee and the Portfolio Committee; why the NDA CEO was appointed as an Acting CEO and heading up the negotiation team; about the SASSA report presenting nothing new. They were not happy with the response given by DSD/SASSA that “if all fails, SASSA will look at other options”. The outcry by the public is enormous; such a response will not suffice. Ms H Malgas was nominated as Acting Chairperson by Ms Abrahams, seconded by Ms Sonti. Apologies were received from the Minister of Social Development, Bathabile Dlamini, who was attending a Cabinet meeting, from the SASSA CEO who is on sick leave and the SASSA Acting CEO who is leading the delegation on negotiations with Cash Paymaster Services (CPS). Ms H Malgas (ANC) said the purpose of the meeting is to receive a report from the South African Reserve Bank (SARB). This report is per the Committee resolution taken on 30 November 2016. The Committee agreed to invite National Treasury, the Reserve Bank, Post Bank and Post Office to make presentations on their role in the implementation of SASSA’s institutionalisation of social grant payments. The reason SASSA is present in the meeting is due to the Committee resolution that every week SASSA should meet with it to update the Committee on the progress made on future grant payments. Mr Tim Masela, SARB Head: National Payment System Department, said SARB is the designated central bank of South Africa. Its primary objective is to protect the value of the currency in the interest of balanced and sustainable economic growth. It regulates and supervises payment, clearing and settlement systems. To execute this mandate, SARB established the National Payment System Department, which operates in terms of the National Payment System Act. SARB does not determine or develop products and services nor does it set prices. SARB in its capacity as regulator and overseer of the NPS has had numerous engagements with SASSA on the stabilisation of their current payment system as well as with both SASSA and Department of Social Development (DSD) on options they may consider for their transitional and future plans for social benefit payments. SARB is not in the position to express an opinion whether SASSA will be able to mitigate the risks in the current transition or takeover of the system, as expected by stakeholders including this Committee. The NPS is a system that encompasses the total payment process, including all the systems, mechanisms, institutions, legal agreements and applicable legislation. The South African Multiple Option Settlement (SAMOS) system was used as an example to explain the NPS. The SAMOS system is an automated interbank settlement system provided by the South African Reserve Bank for banks to settle their obligations on an immediate real-time basis, or in a delayed settlement arrangement, providing guaranteed settlement. This is because when banks have to pay each other, they have to do that through SARB where they each hold a settlement account. Average monthly values settled is R11.2 trillion. There is an acquiring and issuing bank. This means that one bank issues the payment instrument and the instrument can be used at another bank called acquiring bank. Using an ATM as an example, the issuing bank issues ATM bank cardwhich can be used at the ATM of another bank. When the card is slotted, the transaction initiation goes to the acquiring bank and through a switch a message is sent to the issuing bank to confirm the card, pin number and amount. If it is successful, the amount will be released. After the transaction is done, settlement will happen in the Reserve Bank where the issuing bank will pay the acquiring bank. National Treasury makes the funding available to SASSA which has a payment file of who needs to be paid and how much is to be paid. This file will be pushed to CPS who is the current service provider where the biometric information is collected. CPS processes the file and pushes it to Grindrod Bank where all the accounts of the beneficiaries are kept. Grindrod Bank will then credit the accounts. Some beneficiaries, however, instructed SASSA to pay their benefits into their personal bank accounts. The beneficiaries can go to an ATM, POS retailers, service providers (micro lenders, insurance providers, airtime providers) and closed loop sagem. The closed loop sagem is where a few merchants have contracted to pay benefits to beneficiaries through closed loop system. This system does not conform to the regulatory framework of the NPS. An exemption was granted however because SASSA had opted through its service provider to have a proprietary biometric standard. When the system was implemented, the other parties in the NPS were not ready for that biometric standard and when eventually SARB engaged with these parties they did not want to adopt a proprietary standard. These parties said the system was determined by the SASSA service provider and they would not invest in it. SASSA however, said that the industry has established a national biometric standard which is in place now. All that needs to happen is to roll it out. It is easy to roll it out in the issuing state but difficult in the acquiring state. SARB is willing to work with the market and SASSA with regards to the acquiring state. SARB was not involved in the planning and implementation of the current SASSA grant payment system launched in 2012. The launch of the system in 2012 placed a strain on the NPS infrastructure and its stakeholders which resulted in operational difficulties and instability within the environment. The reason was because the payment of social grants was channelled on one payment date which led to a spike for NPS participants where there was also a lack of communication and coordination resulting in increased stress on systems and ATMs. The stress on ATMs is due to lack of sufficient cash to pay out on peak days and lack of sufficient human and technical resources to handle the number of grant recipients on these peak days. CPS entered an agreement with Grindrod Bank (a relatively small bank with no branch network and limited infrastructure) to issue the social grant bank cards, thus contributing to operational difficulties in the NPS. In the NPS some banks are issuing instruments and acquiring transactions. SARB established a coordinating working group to address and assist in managing the negative impact on the broader NPS, and on the social benefit recipients in particular, in order to manage the risk introduced into the NPS. The coordinating group was led by SARB National Payment System Department and included officials from SARB Banking Supervision Department, SASSA, DSD, Treasury and the Payments Association of South Africa (PASA). The current system was stabilised and has been stable since 2012. SARB issued an exemption from the NPS regulatory framework to Grindrod Bank to allow the use of a biometric customer verification mechanism pending finalisation of a national biometric standard. • Application and beneficiary registration is within the domain of SASSA. The verification of ID and the assessment of application is done by SASSA. SASSA and Net 1 (holding company of CPS) capture the beneficiary’s details and biometrics. The update of the grant database done by SASSA and Net1. • Beneficiary validation is within the domain of SASSA. • Grant payment: release of funds is also within the domain of SASSA. Here the funds are released by Treasury to SASSA, from SASSA to Net 1, from Net 1 to Grindrod Bank beneficiary accounts from there to small portions of other bank accounts. • Payments to and collections from the beneficiary’s account is within the domain of SASSA and interbank. • Deregistration process is within the SASSA domain. • Beneficiary validation will be done by SASSA. • Grant payment: funds released by Treasury will go to SASSA, from SASSA to beneficiary-selected or SASSA defined basic account. • Payments to and collections from the beneficiary’s account. Here Point of Sale (POS)/ATM will be interbank. • Deregistration process. Review of validity/continued eligibility of grant beneficiary will be done by SASSA with assistance of Department of Home Affairs. • A basic account (with features defined by SASSA) offered by any bank participating in the payment of social grants. Product features may include a number of free withdrawals, purchases and debit order requirements (if allowed) and the adding of a biometric authentication capability. • A co-branded product with SASSA and the applicable banks could be considered. • This open co-branded offering would limit the need for a ‘winner takes all’ tender approach and promote competitiveness amongst banking providers of products /services resulting in utilisation of the existing payment system infrastructure and probably lower costs. SARB recognises that with any option chosen by SASSA, there may be a portion that may require a tender relating to coverage of remote rural areas which banks have not sufficiently served from an acquiring infrastructure perspective (presence of ATM and POS devices). In discussion with SASSA a possibility for the South African Post Office (SAPO) to provide services in these locations was recommended. Postbank is currently designated in clearing, it would need to build appropriate capacity (human resources and infrastructure) to deliver this service and payment services to SASSA beneficiaries generally. However, further efforts should continue to find solutions to make services available in those underserved areas. The open architecture approach supported by SARB is based on the principle of interoperability and avoidance of concentration risk, while leveraging the existing acquiring and issuing infrastructure of the NPS. • Accommodate SASSA specific requirements for special features on a designed account that will be offered to the benefit recipients. • Probable lowering of costs. • Be sponsored in payment settlement by a settlement bank. • Introduction of concentration risk. SARB does not support arrangements where non-banks duplicate existing infrastructure as this works against the efficiency objectives of the NPS. SARB will support a transition option by SASSA that will ensure continued payment of social grants without any interruption beyond March 2017, within the legal framework. SARB however, believes that finalisation and implementation of the future architecture of the social benefits payment system should be undertaken without further delay. SARB as regulator of the payment system may offer regulatory guidance to SASSA where required. Ms S Tsoleli (ANC) asked about Grindrod Bank and the deductions it was making from grants. Mr Masela replied that there are two elements in terms of deductions: the Regulations of the Social Assistance Act allow for deductions within a controlled environment; there is also a debit order which can take place once the next amount has been deposited in the account of the beneficiary. There have been some court cases on this matter, though the details are not within his reach. Ms E Wilson (DA) asked if CPS makes the deduction before the grant is transferred to the bank or does Grindrod do the deduction, if yes, on whose behalf and instructions? Mr Masela replied that in his understanding both happen. A Section 26A authorised deduction (as per the Regulations) may be undertaken by Cash Paymaster Services before the deposit. Once the grant is deposited, other loans, insurance, airtime deductions occur from the beneficiary account in Grindrod. What SASSA and DSD has been trying to do is to stop the second part. The first deduction is within the Regulations. The court challenges relate to jurisdiction. Ms P Mogotsi (ANC) said SARB is the regulator of banks and needs to monitor what happens. Grindrod Bank was granted an exemption. Has SARB allowed Grindrod to be part of the system? Here is a bank that does not have a system and is partnering with the Department for grant payments. Did SARB not see a risk and advise the DSD? It seems the small banks are not being monitored. On the deductions, Grindrod is a bank without capacity and no ATM card which means it is a bank that just sits. SARB has failed as a regulator. Grindrod cannot just go directly to the Department by itself, but must pass through SARB. Why did SARB not advise the department against this route? Ms B Masango (DA) asked who SARB granted exemption to with regards to the closed loop system, was it CPS or Grindrod? How long does it take to set the whole new system? Why was SARB as central bank not involved in the planning and implementation of the payment system? How was it even allowed to go on without SARB? Who was supposed to have involved SARB? Has SARB been involved at the right stage now to avoid the instability and difficulty that took place in the last era? Ms B Abrahams (ANC) thanked SARB for the enlightening presentation. Why was Grindrod used and exempted? What was the reason for granting exemption and not advising SASSA to use other mainstream banks? Did SASSA approach SARB before approaching CPS for an agreement? Ms Wilson asked if there is a SARB recommendation, regulation, ceiling or limit with regards to transaction costs that banks can charge. She commented that it is mind blowing that SASSA withdrew its application to the Constitutional Court today. Ms N Sonti (EFF).asked her question in vernacular. Ms Malgas asked if anyone can give a summary of the questions asked by Ms Sonti. Ms Mogotsi said that the mandate of SARB is clear in terms of regulator of banks. On the mess and national disaster that everyone is talking about with regards to SASSA, did SARB not do its due diligence in terms of small banks like Grindrod? It would have been good if National Treasury was here to answer to the Committee on its role since all monies are transferred from Treasury to the Department. Where was Treasury if there were risk in terms of deductions? DSD should not be blamed alone but its sister department should be involved. It is good to hear about the future recommendation to SASSA, why now, why not earlier? The recommendation to involve the South African Post Office (SAPO) is a welcome idea. It is also good to highlight that SAPO lacks the capacity to pay grants. Ms Tsoleli asked why was Grindrod was given an exemption since it is not an acquiring bank? Is SARB now involved in what SASSA is doing, since it was not involved in the planning earlier on? What are the risks involved in implementing the future option or plan recommended by SARB? Will the future option save the country some rands? Mr Masela responded that the parties offering policies should adhere to Regulations issued by DSD. There are others making deductions in Grindrod using debit orders. SASSA and DSD challenged this in court. These parties are regulated by other regulators, and they are doing what they are doing which is against the spirit of SASSA and DSD. It is not within the space of SARB, but it has offered SASSA and DSD to resolve this by having a special account. This special account will enable SASSA to put in its terms and conditions. It is not within the space of SARB but it has called for the terms and conditions for the account with Grindrod, the account is a normal account which allows anything to be done to it. SASSA only regulates Grindrod. There is multiplicity of regulators in various spaces. The exemption granted to Grindrod is that transactions made in shops like Pick n Pay do not go to the bank used by Pick n Pay but to Grindrod. Pick n Pay has to open an account with Grindrod to receive money coming from the transactions. If the exemption was not granted some beneficiaries would not receive their benefits. With granting this exemption, other banks want to be granted exemption for other things. The exemption was granted because of the vulnerable. The exemption was granted on the condition of having a biometric standard and implementing it. There is no exemption about deductions. There is abuse in the space of these deductions and this needs to be addressed. There is a dispute arrangement whereby beneficiaries whose account is debited from an unknown source can get their money back. With the Grindrod Bank the dispute can only be resolved through a toll-free number or through SASSA because Grindrod Bank does not have branches. Mr Unathi Kamlana, SARB Deputy Registrar of Banks, said there are market conduct issues around the deductions and not only issues of abuse for small banks. There is a broader market conduct challenge in the financial sector around unauthorised deductions from people’s accounts. It will be beneficial for the Committee if issues around the future framework for conduct of business in the financial sector is discussed by SARB in the next scheduled meeting. There is a multiplicity of regulators, no clarity of scope, and different ombuds people for different type of products. Mr Masela further explained that exemption was granted to Grindrod rather than SASSA because that is the only party SARB regulates. It will be difficult to ascertain when the whole system and option proposed by SASSA can be set up. However, it depends on SASSA and the options it has chosen. After the current system was implemented, it experienced problems and was later stabilised. It took more than a year for the transition process. It was implemented in March 2012 but the last cards were issued between April-May 2013. The system may be in place but getting out from the current system to a new one is not easy. The roll out takes time. SARB was not involved in the setting up of the current system. SARB believes that if SASSA wanted to use NPS it should have included SARB. Secondly, Grindrod as a bank in the system should have alerted SARB about the project. Grindrod signed off the agreement with SASSA and CPS but did not envisage the bottlenecks and magnitude of the work involved. SARB only got involved when ATMs were timing out and people were not getting money. There were complaints of disruption in stores on those days by shop owners. The problem could not be stopped at that time to avoid disruption. The only option available then was to have a working group involving SARB to try and resolve those problems. The banking industry was also invited to invest in the spike. However, this was a huge spike because the bulk of the transactions take place on the 1st of the month. The clearing system had to upgrade its capacity and the banks receiving this information had to adapt their system to plan for cash replenishment at ATMs. The retailers had to do the same. SASSA should have involved SARB in recognition that it wanted to use the NPS, Grindrod should have also involved SARB. From the time SARB started working on stabilising the current system, it has been having interactions with SASSA. It is not within the space of SARB to tell SASSA what options to take but only offer guidance on how to proceed. Mr Zane Dangor, DSD Director General, responded to policy questions, saying there have been gaps in dealing with regulation. There are unscrupulous players in the financial sector. There should be a separation between CPS which is the company that SASSA has a contract with and Net 1 which is the holding company. SASSA has been engaging with SARB and Treasury not only on the emergent issues being discussed but also on a long-term basis. SASSA is engaging with the open architecture system option but the risks associated with it are equally high. Postbank is an option in the future but not now because of the capacity challenges. As its capacity grows, it can take on more work with regards to grant payments in future. DSD does not regulate any banking system, unless it becomes a player in the National Payment System. SASSA has regulations on deductions; it has also had engagements on how it can translate its regulations to the regulations made by SARB on special bank accounts called sanitised bank accounts. SASSA has favoured the sanitised bank account in its discussions going forward. Ms Dianne Dunkerley, SASSA Executive Manager: Grants Administration, responded about the deductions. In May 2016, SASSA changed the regulations about deductions. It also changed the method of payment where people can choose whether to have their benefits paid into their personal bank account or to receive it as prescribed by SASSA. The intention was to have protection over the accounts. No sooner were these new regulations published, than it was legally challenged by Net 1 and others. The judgement on the case is still awaited. At this stage the whole deduction space is particularly difficult and the argument in court is about jurisdiction i.e. whether SASSA may make regulations which impact on the banking space. There is however, a recourse mechanism done on an individual basis where anyone who has had deductions from their grants for a reason they are not aware of, can report it to SASSA. SASSA staff will facilitate the resolution of the complaint. The resolution does not lie within the control of SASSA because it is done within the banking space. SASSA follows up to make sure there is a resolution. There could be resolution on stopping future deductions particularly for prepaid airtime and electricity. However, it is getting increasingly difficult to make refunds on the deductions. Deductions is a very difficult space. Ms C Dudley (ACDP) asked whether Grindrod was appointed because it has special biometric abilities which others did not have. Why Grindrod? Has SARB acknowledged that there was a lack of monitoring on their part? In future, what is SARB expected to do, is it supposed to wait to be invited/involved or will it just enter the space as a regulator? What is the time frame for this option to be implemented? Ms Wilson asked about benchmarks for transaction costing. Ms Sonti asked her question in vernacular. Ms Mogotsi asked a question raised by a member of a Khayelitsha human development group. 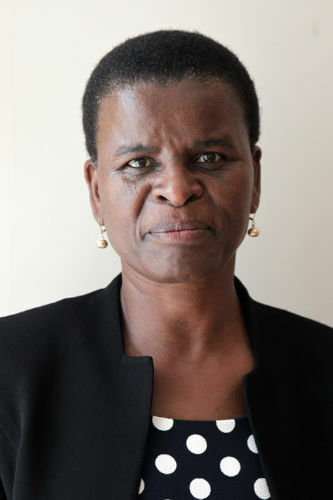 The question reads thus: ‘Who is responsible to educate the poor, weak and powerless beneficiaries in Langa, Khayelitsha, Gugulethu, and Nyanga to use democratic proceedings with regards to implementation of SASSA?’ Ms Mogotsi said there is an outcry from the public regarding the implementation of the grant payment on 1 April. How does SARB protect account data details since all the deductions happen around the data? Mr Masela replied that SARB does not regulate bank charges. What banks charge their clients is not regulated by SARB. Only the interchange cost is regulated by SARB. The financial soundness of the payment has been well regulated but the conduct of the bank remains the challenge. Mr Kamlana said that competition forces prices to go down. Mr Masela said that Grindrod has the licence to issue and acquire but their footprint in acquiring is not strong. Grindrod was not even appointed but SASSA can clarify that. When SASSA issued the tender, CPS appointed Grindrod as their bank of choice. How Grindrod was chosen cannot be answered by SARB. The problem of deductions related to market conduct issues. Mr Kamlana answered Ms Sonti questions in vernacular. Mr Dangor responded that market conduct issues are a grey area. DSD used soft law [regulations] to decide what is permissible with regards to deductions but that was challenged in court. There is multiplicity of regulators in this environment. Mr Dangor added that it takes time to design any new system. Ms Dunkerley responding to the Khayelitsha community member said it is the responsibility of SASSA to educate the poor, weak and powerless. Mr Bandile Maqetuka, SASSA Western Cape Regional Executive Manager, added about the deductions that anybody who is aggrieved about unlawful deductions can visit the nearest SASSA office or use the toll-free number. There is also a unit in customer care in SASSA that deals with stakeholder engagement. All provinces have that unit which engages with communities and provides assistance where it is needed. Ms Malgas said that the input given to the Committee by SARB is valuable. SASSA has been told that a risk plan should be put in place. Financial soundness is very important but the conduct of the financial institution is also important. SARB will be needed in future. Mr Masela thanked the Committee for the opportunity to present SARB’s role and position on grant payment. Ms Malgas noted that Mr Dangor was no longer present as he had been requested by the President to return to Pretoria immediately. Ms Dunkerley said that negotiations with CPS are already underway today from the 1 to 3 March. Ms Thamo Mzobe, Acting Chief Executive Officer for SASSA, and the technical team are facilitating the negotiations. The key issues to be discussed in the negotiations are period of contract, biometric data, ownership of data, unfavourable conditions, transaction charges, and phasing-in of services over the period of the new/revised contract. A detailed report on the progress of the negotiations will be given to the Committee next week. SASSA had committed to approaching the Constitutional Court. It will confirm with the lawyers exactly what SASSA is requesting from the court. A progress report is being compiled and will be tabled with the Constitutional Court. Details of the progress report will also be shared with the Committee next week. Ms Tsoleli said that SASSA was supposed to go to Constitutional Court but the news all over social media is that the application that was supposed to be made has been withdrawn. She asked that the Committee be taken into confidence as to what is really the situation on ground. Looking at the presentation made to this Portfolio Committee which deals with SASSA almost every week, and what was presented before the Standing Committee on Public Accounts (SCOPA) yesterday, it can be said that justice was not done to this Committee. Some of the issues presented in SCOPA were new to this Committee. It feels that there is information that is unknown to this Committee. This damages the reputation of this Committee as it seems the Committee is not doing its work. During the SCOPA meeting, Ms Zodwa Mvulane, the SASSA project manager, said SASSA does not have a plan. This begs the question of what was presented to this Committee. There is a difference between what was presented to SCOPA and what was presented to this Committee. The Committee has its integrity to protect. Ms Abrahams asked what is happening today with regards to the Constitutional Court. She said she felt like a visitor in the Committee after the SCOPA meeting. Ms Mogotsi said that Mr Dangor is failing the Committee. The progress report presented before the Committee today is not a report, nor an update. There is nothing new in the report. The Acting CEO of SASSA, Ms Mzobe, is the National Development Agency (NDA) CEO, what is happening? Ms Mzobe is not vested on the issues of social grants and it is worrying that she is leading the negotiation team. The Department was supposed to apply to the Constitutional Court to authorise its negotiations with CPS to pay grants for the next 12 months, and submit a report to it. Why was it not done? What risk plan does the Department have for grant payments? What is the risk the Department is facing now? What happened at the SCOPA meeting is different from what was presented to this Committee. Where are the old officials that know about SASSA; Zodwa Mvulane is a new official? Ms Masango said that with the deadline looming there have been assurances from the Minister and the Department that grant payments will be paid on 1 April. Each meeting has been taking the Committee back in terms of getting closer to the solution of whether the grant will be paid or not. What the Committee has been listening to is the state of un-readiness rather than the state of readiness. The report presented by the Department states that it is committed to approaching the Constitutional Court. Information on social media states the SASSA notice to withdraw states: "Take notice that the first and second applicants (respectively 'CEO' and 'Sassa') herewith withdraw the application filed with this Court on the 28 February 2017." Mr Dangor said that what was said in the SCOPA meeting about a lack of plan is about the ability of SASSA to be the paymaster on 1 April. In meeting the deadline of 1 April, the preferred option is to extend the contract of the current service provider. Negotiation for this contract is underway. The parameters for this negotiation entail sticking to the existing budget and ensuring that illegal deductions are dealt with. In extending the existing contract there should be concurrence from the Constitutional Court. The option chosen by SASSA is to go for a new contract which needs approval of deviation from Treasury. SASSA agreed to submit two reports, one is a statement of intent that shows what SASSA will be doing. The statement of intent was the document that was filed and withdrawn. The understanding for the withdrawal is that it will be re-filed after supplementary changes have been made. However, the reason for the withdrawal will be checked with the legal team. The second report will outline the outcome of the negotiation with CPS. On the question of Ms Mzobe chosen as accounting officer, Mr Dangor replied that the Minister decided to choose someone who was already at the level of an accounting officer given the seriousness of the issue. Ms Mzobe is at the level of accounting officer in the Social Development sector. She was appointed to act since the CEO is ill.
Ms Tsoleli said that what is happening in SASSA is a recurring problem. How much knowledge of what is happening in SASSA does this Acting CEO have? The Minister should have appointed someone who is already in DSD and on board the ship. This is a crucial stage and it does not need a new person. There are Deputy Directors General and even people at the level of CEO that can do the work. The Committee should consider this matter. Ms Dunkerley said the issue of negotiation cannot be spoken about since it is still underway. The protection of data of the grant recipients will be managed within the legislation that applies currently. Mr Matequka said that grants were paid before the CPS contract and if all fails, SASSA will look at other options. Ms Abrahams asked if all fails, how will Members communicate this to their community? Ms Tsoleli also expressed worry as the Committee members are representative of these public entities and are accountable to the public. The answer given by Mr Matequka is not acceptable and cannot be communicated to the community. South Africans need answers and assurances that they will receive their grant. Ms Mogotsi said social media is running with the issue. Right now there is a post saying that the withdrawal relates to an admin error. There is a risk with this back and forwards. What response will be given to the Khayelitsha community? The fear of the people is enormous. Many people are listening to this meeting, what if people march to the houses of the members of the Committee. Ms Malgas asked for an assurance. Mr Dangor said that CPS is the most practical option. He said if all fails, it is worthy to note that 99% of the beneficiaries have accounts with Grindrod. SASSA has a strategy that it will use that leverage to pay through the banks. There are people (40%) who have the SASSA card, here the department will either use the Postbank to make sure that they have mobile forms of accessing their benefits. This means changing from biometric identification to PINs. For those in the remote area, a strategy will be used which is risky but has been done before. This involves cash distribution with trucks. This option will be deployed when all else fails. Ms Malgas said that SASSA should provide a full report. Ms Tsoleli said that the withdrawal of its application from the Constitutional Court should be clarified. What is the current position now? Members need to respond to their constituencies. Ms Malgas asked for clarity on what is happening. The Department may be charged for contempt of court including the members of the Committee. Mr Dangor said he will find out from the legal team what exactly needs to be re-filed. Ms Tsoleli said that the Office of the Director General should communicate with the Office of the chairperson and give an update on this. Ms Malgas asked whether a new tender is being negotiated. Mr Dangor said it is only negotiating with CPS. Ms Malgas asked that the Committee be updated on what is happening when Mr Dangor gets to Pretoria.